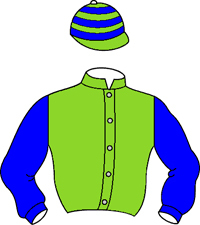 Where can I get my racing colours made? 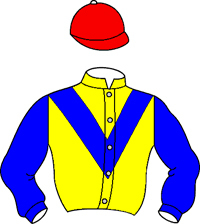 Where can I get my racing colours made? THIS “DIGITAL GUIDE” HAS BEEN CONCEIVED AND DEVELOPED BY UP. The Digital guide book is a unique online concept developed by UP. It is totally protected by French owner’s rights as well as by the French Intellectual Property code. All the content of the guide (browsers, as well as graphic, video, sound and text elements …) are, de facto, protected by Owner’s Rights. Any use, adaptation, copy or interpretation of the concept of this digital guide book will bring about a legal action. Racing clubs. You can access each section via the title list on the left of the screen. By choosing the titles, you will access the total content. You can thus have direct access to the required topic. For any additional question, you can get in touch with the Owners’ Department. Good reading! In order to run horses, the future owner has to obtain the approval of the France Galop stewards. 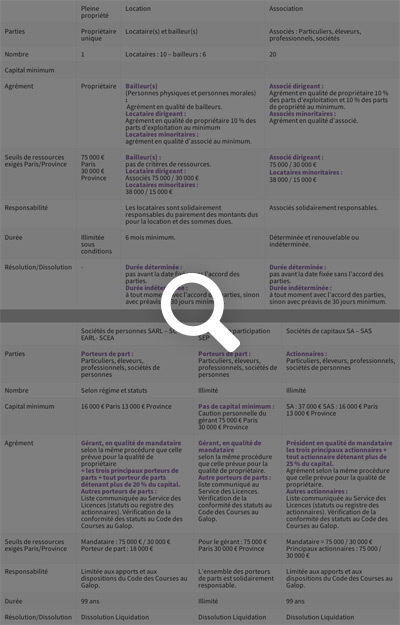 The application file can be obtained on request from the Licencing Department at France Galop. The department will confirm receipt of your application and initiate an inquiry by the Ministry of Interior to verify that there are no grounds for refusal (ethical or insufficient funds). 30 000 € if the horse is trained in the provinces. Note: income is based on a couple’s earnings where the couple is married under the community of property regime. You can lease a horse and either run it under your own silks or with others co-lessees. A horse in training can be the subject of a lease agreement between: a lessor (or partnership of lessors) and a lessee (or partnership of lessees). Each lessor and each lessee have to be individually registered by the France Galop stewards. The number of lessors cannot be higher than six while the number of lessees cannot exceed twenty. The lease agreement has to be registered by the France Galop stewards. As long as it hasn’t been approved, it is void and unenforceable. The lessor, or in other words the owner of the horse, is not subject to any conditions as to minimum income. In the case of a partnership of lessees, the ownership of the colours and the approval of the owner only applies to the appointed manager. Also, only the appointed manager has the authority to run the horse in his silks and to make any relative declarations concerning the horse’s racing commitments. He can eventually transfer this authority to his trainer. He is the sole spokesperson where France Galop is concerned and is the recognised appointed authority responsible for the functioning of the lease contract. Any lease is irrevocable for a period of at least six months. For a fixed term contract, with a fixed end date, the contract can be terminated upon the agreement of all the contracting parties before the end date. For open ended contracts (racing career), the contract can be terminated at any time either when all of the partners agree or if one of the partners gives a 30-day notice, unless specified differently in the contract. The ownership of a racehorse can be shared by several people. For each horse that is owned by several people there has to be an “Association” contract approved by the France Galop stewards. Every owner has to be individually approved by the France Galop stewards. The number of owners who share the ownership of a horse is limited to twenty. 15 000 € if the horse is to be trained in the provinces. 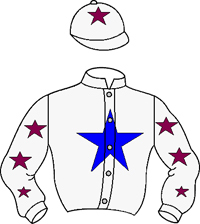 The appointed manager will be the owner within the partnership with the authority to run the horse under his silks or under the partnership’s silks , if the said partnership has registered a name (from 1st January 2007 onwards). He will be in charge of making all of the declarations concerning the horse’s participation in public races. He is the sole designated spokesman for the partnership, acting with the consent of the co-associates’ on their behalf and representing their interests with France Galop. He will give notice of the cancellation or modification of the contract. The authority of the designated manager of the “Association” partnership will be approved providing that he owns at least 10% of the horse and that his participation in the exploitation of the horse’s career is not less than 10%. For open ended contracts (racing career), the contract can be terminated at any time either if all of the partners agree, or if one of the partners gives 30-days notice, unless specified differently in the contract. The partners can choose France Galop to distribute the prize-money won by the horse and owed amounts (trainer & jockey) between the partners. For more information on joint ownership, please contact the “Service des Licences” at France Galop. Exceptionally, a horse may be placed in temporary joint-ownership for a fixed-term under the form of a syndicate comprising a number of equal parts that may not exceed forty. The share holders must be individually approved by the France Galop stewards. It is necessary to designate an individual who will have the authority to race the horse under his/her name, who can undertake the required steps and who will receive the earnings. 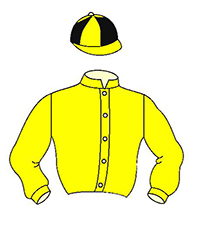 This approval is published in the official Racing Bulletin. France Galop stewards must be informed about any modifications. The modification must be made no later than four days prior to the final declaration stage of horsesentered in a race . Business partnerships, of which most come in form of joint-ownership with the objective of running and keeping a racehorse in training, are for tax purposes treated in a transparent manner. Therefore as the business partnership is considered transparent for tax purposes, it is not obligatoryto keep accounts detailing the earnings and joint running costs that come from owning the racehorse, nor does it have to file an income statement. Accounting and financial reporting obligations are the responsibility of each contracting party, based on the required elements. A private company is a civil or commercial concern where the share holders can be identified. French or foreign, this company can own one or several horses. 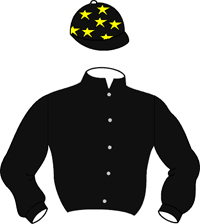 The company must be approved and registered by the France Galop stewards. 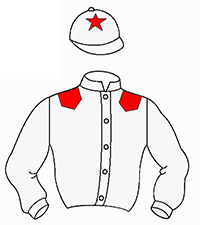 The company must designate an authorized representative who is not necessarily a major share owner but has to be himself approved by the France Galop stewards in accordance with the same procedure for an individual owner. This representative may run the horse(s) in his name or in the name of the company. The three main share owners have to be individually approved by the France Galop stewards. The other members are not approved but the individual files of these members will be sent by France Galop to the Ministry of Interior Racing and Gaming bureau in order to facilitate the ethical enquiry. The unique revenue threshold for the approval of the part owners is set at 18 000 Euros. Any modification in shareholding or regarding the representative must be communicated to the France Galop stewards. A horse cannot run in the name of different commercial companies or in the name of different products of brands owned by a commercial company in the same year. A commercial company cannot hold interests in more than two horses in the same race. 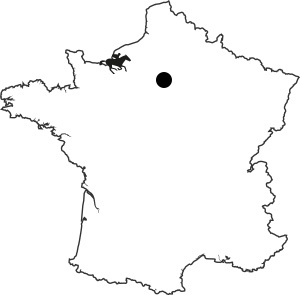 Minimum capital of the company: 16 000 € for Paris, 13 000 € for the provinces. A General Meeting is held once a year and decides by a majority the withdrawals and entries of members. Any share transfer must be approved by the General Meeting, except if the possibility to waive a share is stipulated in the bylaws. Only limited liability companies must file their income statements and balance sheets with the clerk’s office of the Commercial Court. Private companies which are subject to income tax keep their legal and tax status. 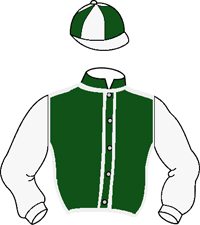 The company holds an account with France Galop. The representative manages this account. Prize-money and premiums are paid into that account. Joining a management centre is recommended. Foreign private company: The company must first be approved by a foreign racing authority which has joined the International Agreement on Breeding and Racing. For further information, please contact the “Service des Licences” at France Galop. The system of capital company ownership is not based on the personalities of the shareholders. French or foreign, this company can own one or several horses. This approval must be renewed every year by the France Galop stewards. The company must designate one or several corporate directors, including at least one, exclusively a physical person, who is mandated for being in charge of the company. He must have been approved in accordance with the same procedure that is followed when becoming an individual owner. The three main shareholders or partners in capital also have to be approved as individual owners. If the capital is shared equally, all three of them must have been approved in accordance with the same procedure. If a shareholder becomes the owner of at least 25% of the company’s capital, he must be approved in accordance with the same procedure. For capital companies whose main objective is to profit from their racehorses and maybe their stud careers, the names of all shareholders and partners that make up the company have to be known to the France Galop Stewards. Any modification concerning the authorized representative, under whose name the horses owned by the company are running, other authorized representatives, shareholders, partners and/or the share of the capital that they own, must be communicated to the France Galop stewards. A horse cannot run in the name of different commercial companies or in the name of different products or brands owned by a commercial company in the same year. A commercial company may not have interests in more than two horses in the same race. 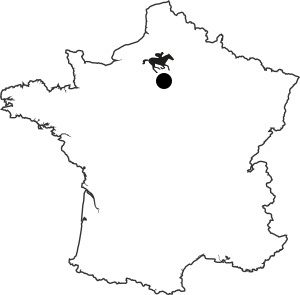 All French companies, apart from those whose shares or securities have been admitted on an official list on a French or foreign stock exchange and whose main purpose is not the breeding or exploitation of racehorses, have to obtain a prior consent from the Ministry of Agriculture. This company must first be approved by a foreign racing authority that has joined the International Agreement on Breeding and Racing. Its bylaws stating the registration with the registry of commerce and companies of its country must be accompanied by a French translation, certified by an official or sworn translator. Minimum capital for a limited company = 37 000 €. Minimum capital for a simplified joint-stock company = 37 000 €. General Assembly is held once a year. These companies (limited and joint-stock companies) as well as limited liability companies have to file their income statement and balance sheet with the clerk’s office of the Commercial Court. 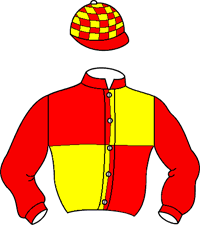 The company holds an account at France Galop. The authorized representative is in charge of managing the account. Prize-money and premiums are paid into that account. 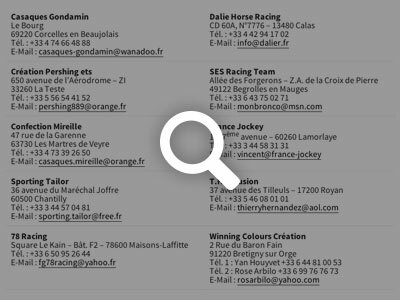 To create or get your Racing Club approved, please contact the “Service des Licences” at France Galop. Approval Owner Lessor(s): (Persons and institutions) Approval as a lessor. Majority lessee: Approval in the capacity as owner. Minority lessee: Approval in capacity as owner or partner (minimum). Majority partner: Approval in the capacity as an owner 10% share of activity and 10% share of ownership (minimum) Minority partner: Approval in the capacity partner. Responsibility - The lessees are severally liable for payment of the amounts due for leasing and the amount owed Partners severally liable. Approval One Representative according to the same procedure as that prescribed for the owner. + the three main shareholders + all unit holders holding over 20% capital. Other shareholders: list communicated to the Service des Licences (bylaws or shareholders register) Verification of conformity of the bylaws to the Galop racing code. Manager / representative according to the same procedure as that prescribed for the owner. Other shareholders: list communicated to the S ervice des Licences (bylaws or shareholders register). Verification of conformity of the bylaws to the Galop racing code. Representative + the three main shareholders + all shareholders holding more than 25% capital. Approval according to the same procedure as that prescribed for the owner.Other shareholders: list communicated to the Service des Licences (bylaws or shareholders register). Verification of conformity of the bylaws to the Galop racing code. 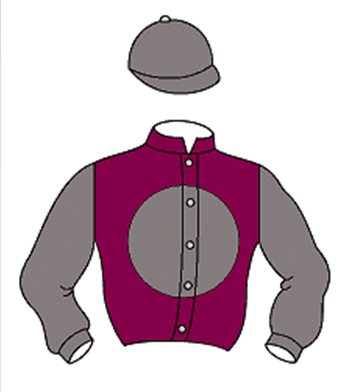 Responsibility Limited to the contributions and provisions of the Galop Racing Code. All shareholders are held jointly responsible Limited to the contributions and provisions of the Galop Racing Code. 1For a preliminary study, send France Galop a copy of your articles of incorporation (bylaws) and corporate registration number. 2After study of the articles of incorporation, France Galop sends a customized answer to the applicant via e-mail. 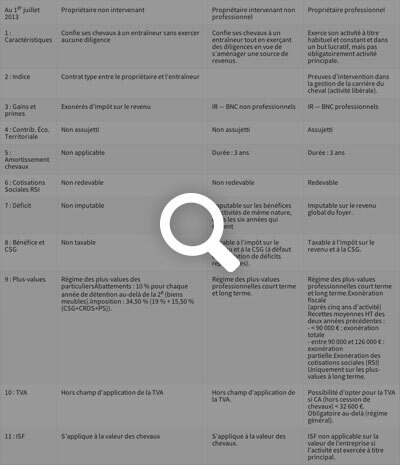 3France Galop sends the applicant a customized application file. 4After reception from the applicant of the duly completed file, France Galop forwards the file to the French Ministry of Interiors’ Racing and Gaming Department for approval. 5If the application is favourably evaluated, the file is submitted to the Head Stewards of France Galop. 6Approval and registration by France Galop. 1Request from France Galop a template of articles of incorporation corresponding to the French Racing Code, by writing to the Head of the Licencing Department, Dariusz Zawiejski (drzawiejski@france-galop.com, telephone : 01 49 10 21 36). 2The applicant writes out the project of Articles of Incorporation. 3After study of the articles of incorporation, France Galop sends a customized answer to the applicant via e-mail. 4France Galop sends the applicant a customized application file. 5After reception from the applicant of the duly completed file, France Galop forwards it to the French Ministry of Interiors’ Racing and Gaming Department for approval. 6If the application is favourably evaluated, the file is submitted to the Head stewards of France Galop. 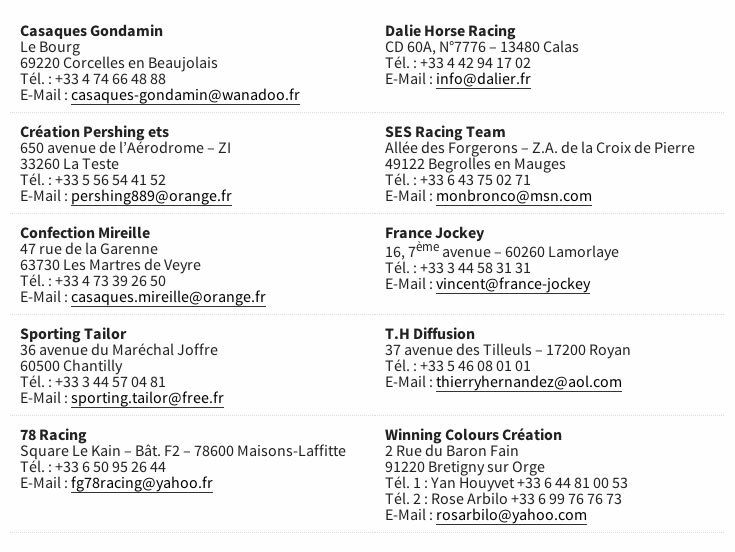 7Approval and registration by France Galop. 8Registration with the French Commercial Registry. Being an owner of a racehorse is an exceptional hobby and because it remains an activity that can be very lucrative, taxation is unavoidable. There are three tax profiles of owners in regard to French law..
Two important factors influence the existing tax provisions: the role of the owner and the nature of his potential partnership. The majority of owners are in this category. This kind of owner entrusts his trainer with his horses and does not get further involved. In this category the owner pursues his activity on a larger scale and with a profit-making objective. This is the owner who entrusts his trainer with his horses and gets involved in decisions concerning the training and racing career. The most common and simple case. It concerns the individual who limits him/herself to entrusting his/her horses to a trainer, without exerting any diligence. Important indicator: the type of contract signed with the trainer. The prizemoney that he/she makes, as well as the premiums earned in his/her capacity as owner, are liable to income tax. On the other hand his/her losses may not be made the object of any deduction . Note: In case of a lease, and the owner being a lessor, the contract constitutes a lease of personal property, the profits of which are subject to income tax in the category of non-commercial profits. The non-participating owner may not opt for VAT liability. (Sale price – acquisition price) are reduced by a general allowance of 10% applicable on the capital gains for personal property, for every year of possession after the second year. This net capital gain is taxable at a rate of 19%, plus 15.50% (“CSG” + “CRDS” + “PS”), amounting to 34.50%. A value-added capital gains’ declaration is to be established within a month of the transfer of ownership. The wealth tax is applicable on the values of the horses of non-intervening owners. It concerns an individual who carries out his/her activity on a habitual and constant basis and for the purpose of profit. Important indicator (but not sufficient): the involvement of horses in racing at the owner’s instruction. The profits and premiums collected by a professional participating owner enter within the scope of income tax application in the category of professional non-commercial profits. The activity is of a professional nature, the deficit is charged to profits of the same type, realized during the course of the taxation year by members of the taxation unit. In the absence of such profit, the deficit is charged to the global income under the terms of common law. In addition, the owner benefits from a tax reduction of 915 € for accounting charges if his/her turnover (excluding sale of the horses) is lower than 27,000 €. The depreciation period for a horse is 3 years calculated from the date of its acquisition. The professional capital gain system is applicable in the short or long-term, with the possibility of total exemption for smallholders if the activity has been exercised for five years, (art. 151 septies of “CGI”) (maximum annual pre-tax turnover: 90.000 €). There is possibility of a partial exemption between 90 000 € and 126 000 €. It is recommended to opt for the VAT exemption basis if the turnover (Excluding sale of the horses) is less than 27,000 €. The professional tax and the personal social security contributions are applicable. Adherence to an approved management centre is recommended. It is strongly advised to use a specific bank account for all operations relating to this activity and to retain all statements of accounts. “ISF”: The wealth tax is not applicable on the value of the horses if the main profession is being exercised. It concerns an individual who entrust his/her horses to a trainer exerting full diligence with a view to generating a source of income. This case applies particularly to breeder-owners. The profits and premiums collected by a non-professional intervening owner enter in the scope of application of income tax in the category non-commercial profits. The activity doesn’t present a professional character; the deficit may not be deducted from professional profits, nor from the total income. It may only be deducted from the profits drawn from similar activities (in other words, non-commercial and non-professional activities) over the same year or the six consecutive years (“CGI”, art. 156-1-2°). The value added / capital gains system is applicable in the short or long-term in this category in the event of a capital asset, namely, a horse. “ISF”: Wealth tax is applicable on the value of horses of non-professional owners. Owner Associations are available to supply new owners with any additional information regarding their taxation. At the same time, we actively recommend that you consult a qualified professional, who will be most competent in determining the tax system to which you are subject and its particular procedures. N° 91 of 21 May 2002 5G-6-02 (racehorse ownership tax system). 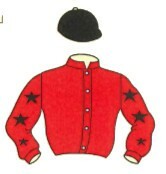 N° 186 of 28 October 2002 5G-12-02 (professional horse racing associations tax system). 7 : Deficit Non-imputable Imputable on profits resulting from activities of the same type, in the six years that follow Imputable on profits of the same type during the course of the year. Otherwise, on the entire household income. 15.50 % (“CSG”+”CRDS”+”PS”) Capital gains system for professionals, short-term and long-term. Capital gains system for professionals, short-term and long-term. 11 : Wealth tax (ISF) Applicable on the value of the horses. Applicable on the value of the horses. “ISF” non-applicable on the value of the business if exercised as a main activity. France Galop is an association governed by the law of 1901, the bylaws of which define the quality of the members. Therefore, all racehorse owners with full ownership or in partnership, having raced their horse(s) in an official race in France or having a horse trained in France during the preceding or current tax year, are a member of France Galop. The annual membership subscription fee is determined by the committee of France Galop. The current amount for owners is 33,00 € VAT included . An entry card to French racecourses for the owner and his/her partner (upon request)..
A 20 % discount in France Galop racecourse shops. How to consult my account on the Internet? All holders of an account assigned by France Galop may consult the balance and movements of his/her account by Internet or the mobile version of Professional Web Site, this version has been validated for the following browsers : Safari (iOS); Internet, Chrome (Android), Windows Phone (Intenet Explorer 10). Your request must mention your France Galop account number, your last name and first name and the proposed password. The latter may be composed of a maximum of 8 characters, and must not include spaces, apostrophes, or diverse signs symbols such as: # @ $ £ etc. Upon receiving your password, it is sufficient to connect to the site www.france-galop.com and then enter the section “My account” / “Professional services”. For any request regarding your password for “Professional services” /” Restricted Access” or in case of loss of your password you can request your password by calling : 01 49 10 20 71 or by Email: controles@france-galop.com. For more information about your account, you can consult the operating manuel and management rules, click here. Please contact Race Promotion : +33 1 55 66 89 10. Payment can be made by requesting for your account at France Galop to be debited. Nota Bene : regarding the regional racecourses, contact directly the racecourse. 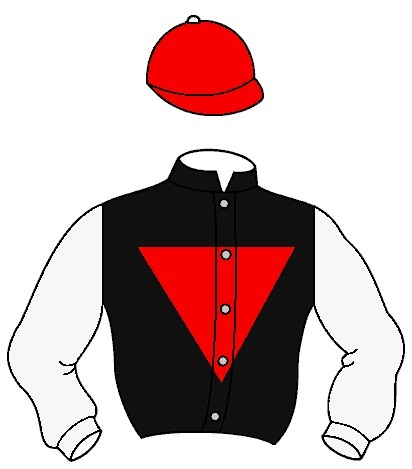 Where can I get my racing colours made? 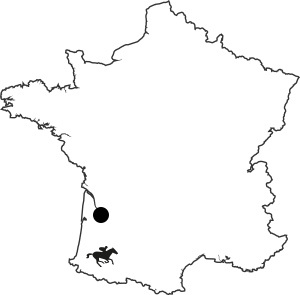 Horses born in France and abroad. 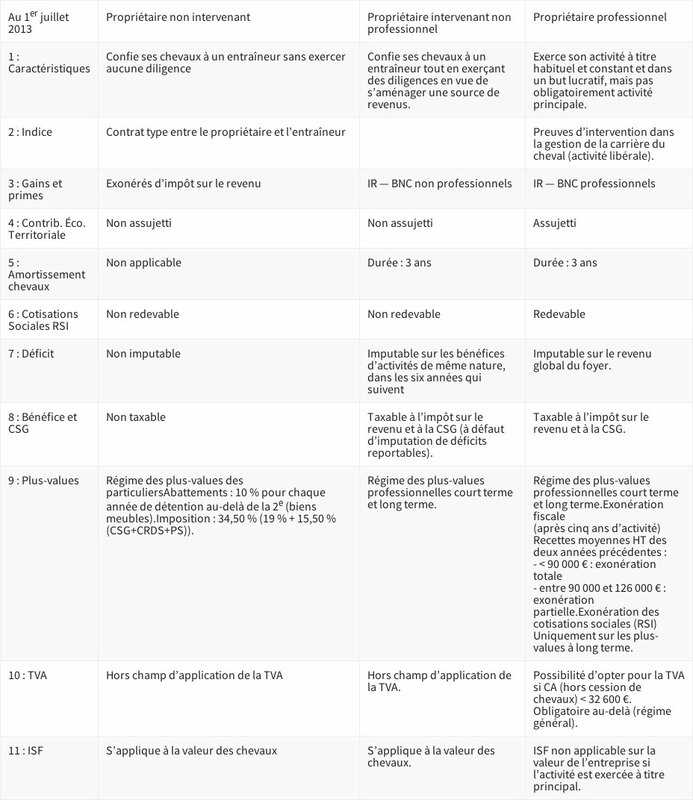 Identification booklet endorsed by the equestrian authority concerned – registration card (if edited) – Cheque made out to “France Galop” or the authorization to debit a France Galop account. A name may not exceed 18 characters, signs or spaces and may not include initials or signs. Names where the spelling or pronunciation is too close to a name already given. Names already attributed can only be given again 25 years following the death of that horse. Passport for permanent import into France. Diagram of horse markings and description issued by an authorised veterinarian in France for equine identification on the form for converting foreign passports. Cheque for 60.60 Euros made out to France Galop or authorisation to debit a France Galop account. Passport for import into France or passport accompanied by a Breeding Clearance Notification document. Cheque for 60.60€ Euros made out to France Galop or authorisation to debit a France Galop account. That any victory earned abroad (except for Listed and Group races) is considered as a Class 2 win, except for races of over 26 000€ prizemoney which are considered as Class 1. Group 1 races: 57,14 %, 22,86 %, 11,43 %, 5,71 %, 2,86 % of total prize-money. (Quinté+ support races included). Group 2 races: 57 %, 22 %, 10,5 %, 7 %, 3,5 %. of total prize-money. (Quinté+ support races included). Group 3 and other races: 50 %, 20 %, 15 %, 10 %, 5 % of total prize-money. (Quinté+ support races included). Handicaps that are Quinté+ support races : 47 %, 19 %, 14 %, 9 %, 5,5 %, 3,5 %, 2 % of total prize-money. Group races and races that are Quinté+ support races : 45 %, 22 %, 13 %, 9 %, 5%, 3,5 %, 2,5 % of total prize-money. Other races : 48 %, 24 %, 14 %, 9,5 %, 4,5 % of total prize-money. In French flat and jump races, the breeder receives a premium for horses considered born or bred in France or similar. Open races: 14% of the prize-money and of the owner’s premium. 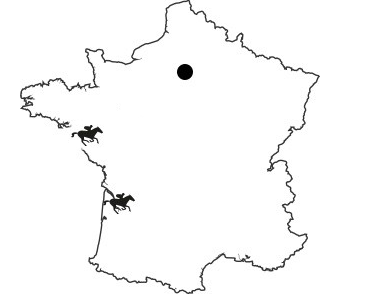 Races open to horses born and bred in France: 19% of the prize-money. Races open to horses that are not Thoroughbreds and born and bred in France: 21% of the prize-money. 15% of the prize-money (without premiums). Premiums of 50 % for foals born from 2008 (for flat racing) onwards, and the products resulting from the crossing of a stallion with a qualified broodmare. The status of the broodmare is judged on 1 January preceding the mating. The stallions fulfilling one of its first five seasons of breeding in France. A stallion fulfilling, for example, its 3rd year in France, but having mated overseas during the 5 years prior to this, is qualified: only the breeding seasons in France are taken into account. A stallion that would have mated during 2 years in France, then overseas, then would return to France, will not be qualified upon its return; leaving France for a season outside France in the northern hemisphere interrupts the qualification of a stallion. However, the French seasons fulfilled previously are not questioned. A stallion that leaves France for a breeding season in the southern hemisphere does not interrupt its qualification. What is the premium rate for the breeder for the result of this crossbreeding? The premium will be increased by 50 %, for all flat races competed in France (no modification to the overseas premium) for horses aged 2, 3 and 4 years. What kind of aid is available? The aid consists of subsidies on the loan interest rates linked with the purchase of quality breeding horses. A horse that has raced in France in the specific year and the year preceding it (thus for financial aid in 2007 : the years 2006 and 2007). An arbitration committee is able to qualify the breeders according to the length of service of their activity. For the purchase of which type of breeding stock? Having produced a black-type prior to the purchase and a maximum of 12 years old at the time of the purchase. Having, herself, a black-type performance prior to the purchase and a maximum of 8 years of age at the time of the purchase. 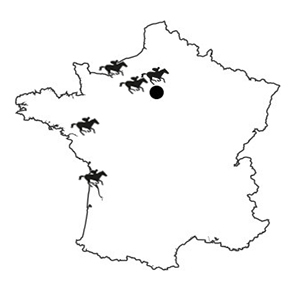 The black-type performances are assessed in accordance with the first section of the book “International Cataloguing Standards” for the flat, according to the fourth section of the same book (races in France, Great Britain or Ireland) for jump racing. Having been purchased by the buyer under the auctioneer’s hammer within the framework of a public auction in France or overseas. The mare must be covered in France in the two first years following her purchase; otherwise the grant must be reimbursed. The stallion must have won at least one Gr.I (performances assessed according to the same sections of the book “International Cataloguing Standards” as for the mares). The arbitration committee will examine each file in order to study the candidate’s genetic interest, the price in relation to that of the market, components of the package (number of investors, number of shares…). The arbitration committee will be able to waive its principles for stallions that show special promise. The stallions will be able to mate in France, the temporary departure for the southern hemisphere having been authorised. What are the methods of funding? The subsidy will be for a maximum of 5 points of interest. The duration of the loan will last a maximum of 5 years for mares or stallions. The amount of the subsidy will be calculated on the basis of monthly loan amortization of 1 to 5 % over 5 years (even if the beneficiary chooses another type of loan: progressive, deferred depreciation or other). The amount of the subsidised loan must be between 20.000 € and 200.000 €. Only one dossier will be accepted per breeder (several qualified breeders may benefit from the subsidy for the same mare, but limited to the set total above). For other races, the travel allowance amounts to half the sum which is paid for Pari Mutual races. To winners of prize-money of or more than 5000 Euros (excluding the owners’ premium) on the Flat, and 6000 Euros over jumps. To runners who have not travelled beyond 10 km (for a one-way journey). To any horse that is declared a non-runner (except in exceptional circumstances). For Guadeloupe and Martinique, there is a set allowance of 500 Euros for each return journey between the two islands (for horses that remain on site in between contesting two races, the owner will receive half the allowance on the outward journey and half the allowance on the return journey). The allowance will only be paid on receipt of nominal proof, which must be submitted to the office of the organising company within five days of the race. For horses trained and racing in Corsica, owners of the first five horses to finish will not receive any travel allowance. From 1 January 2014, the annual travel limit per horse was fixed at 3000 Euros. The amount of travel allowance paid for travel to racecourses cannot exceed this ceiling. Once the ceiling is reached, owners will not receive further travel allowances until 1 January of the following year. The annual ceiling of 3000 Euros will not be paid during the 2013/2014 winter meetings. Distances are calculated by the Michelin company’s travel tool that establishes the shortest route by using post codes at the point of departure and point of arrival between where the horse is stabled and the racecourse staging the race. However, if a horse is bought out of a claiming race, the buyer or his representative must inform the race organisers where the horse is to be transported so that the relevant post code can be used to calculate the cost of the return journey. Owners who are VAT registered will receive the allowance with the current rate of VAT added. If the owner is part of an association to which France Galop automatically distributes earnings, the individual VAT position of each associate will be taken into account. If the owner is not VAT registered, the amount listed below is inclusive of VAT. 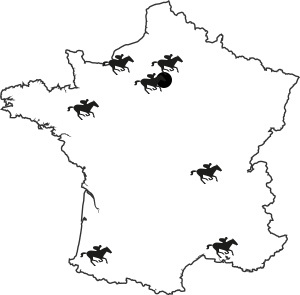 When travel is arranged through a France Galop-approved company (STH HIPAVIA, VERAN, STC-Horse France, STAR HORSE or ATC Location, Trans’Horses), for national Pari Mutual races (except CSI), the allowance is credited to the owner’s account and simultaneously transferred by the owner to the transport company. For runners earning prize-money of 5000 Euros or more (exclusive of owners’ premiums) on the Flat and 6000 Euros over jumps, the amount corresponding to the travel allowance for the journey will be deducted from the owner’s account by France Galop and transferred to the transport company. Transport companies do not charge for arranging the itinerary, departure and return times. Horses travelling with transport companies must travel with the necessary documents. When a horse is sold in a claiming race, its new owner (buyer) must organise transport to its new training facilities. This journey will be at the owner’s cost, regardless of the mode of transport used. If a horse is transported to the races in a private horse box: the owner (seller) of the horse will receive a travel allowance for the return journey within the limit of the available ceiling. If the horse is transported by an approved transport company: the owner (seller) receives a travel allowance within the limit of the available ceiling; this travel allowance will be simultaneously transferred from the seller to the transport company. Once a horse claimed, its return journey becomes the responsibility of the new owner (buyer). If the return journey is made in a private horse box, the new owner will not receive any allowance. If the return journey is made by an approved transport company, the travel costs of the return journey will be paid to the new owner and simultaneously transferred from his account to the transport company’s account. If a horse ran in just one race and returned to its training centre after the race, the allowance paid will correspond to a return journey. If a horse ran in several races and was stabled at the racecourse, a one-way travel allowance is paid as soon as the horse contests its first race. The return-journey allowance will be paid on the last day of the meeting. If a horse ran in several races and returned to its training centre in between races, the travel allowance will be paid for each of its starts. Should the horse earn prize-money of 5000 Euros or more (exclusive of owners’ premiums) on the Flat and 6000 Euros over jumps during the length of the meeting, no allowance will be paid. The amount is 6000 € on the Flat and over jumps for the 2013/2014 winter meetings. The travel allowance is based on the 2013 General Conditions for the 2013/2014 winter meetings. By declaring his horse to run at a racecourse, the owner or his representative must indicate where the horse is traveling from and where it will return after the race. He must also indicate the chosen mode of transport. Any failure to provide this information will result in no travel allowance being paid. Should any travel declaration be made that results in an overpayment, the owner or his representative will be subject to sanctions as stated in the Racing Code. Thanks to your voluntary contribution to France Galop from your race earnings, the Conversion Fund” allows retired racehorses to enjoy an appropriate second life. They will be taken in by families, riding schools or placed with a mounted police force under the rotection and supervision of the “French League for the Protection of Horses” (LFPC) with whom France Galop has signed an agreement. Click on the following link to consult the price list of France Galop services. Information within this directory has been supplied by the racing clubs concerned. France Galop takes no responsibility for, and cannot guarantee, the accuracy, veracity or the current status of its contents. Nicolas Clément, Yann Barberot, Christophe Ferland, Christiane Head-Maarek, Francis-Henri Graffard. Launched in 2013 by ARQANA, the French leading thoroughbred auction house, ARQANA Racing Club is a syndicate program whose purpose is to provide the best platform to discover ownership and the thrilling racing universe. Each year, one or several syndicates are created with a variable model and price per share (from €10,000 – all inclusive). The price of a share covers all costs arising from campaigning the club’s racehorses. Established in July 2011, the Ecurie la Boétie is a Flat-racing club that owned the 2011 champion filly, Testosterone. The Club is also involved in the breeding industry. Established in 2008, the Ecurie des Cadets de Gascogne is geared towards horse-lovers in the South West. The club’s goal is to have at least 2 horses, including one ready to run. The club’s trainer, Antoine de Watrigant, is also a shareholder. The Ecurie Club des Etoiles was established in 2010 by the amalgamation of two stables (Club Galop and Etoiles du Galop). They originated from the first partnership of co-owners created in 1994 as a limited company. The Ecurie Club des Etoiles offers many attractions, such as visits to the training centres at Chantilly, Maisons-Laffitte and Deauville, and visits to major studs. The Ecurie DAM’S is a fun club that has co-opted ladies who enjoy the French lifestyle emanating from the racing scene in France, irrespective of whether they are professionals or new to the game. DAM’S is an original and trendy way to meet other women in racing, and to create a female network within a friendly and enjoyable atmosphere. To become a member, you must be over 18 years old and must purchase at least one share in the club. The share’s acquisition covers the costs of buying, keeping and training a racehorse. The Ecurie Hélios was established in 2006. It had its first runner in March 2007 and experienced its first victory in April 2007. The Ecurie Helios offers easy access to ownership with specific liability (limited to the invested amount) and guarantees good governance via regular meetings of the board of directors and an annual general meeting. Shareholders in Ecurie Helios are recognised as full owners by France Galop. The Ecurie Helios unites racing lovers in an ambitious project: to gain recognition. Thanks to regular updates (via emails from the stables) and the availability of its trainers, it has succeeded in creating a real team. A minimum of 60 shares must be bought. The Ecurie Mansonnienne was established in 2013. There are currently some 20 members who support trainer Pascal Adda at Maisons-Laffitte training centre. Maximum 5 shares per person. The initial investment covers equine acquisitions and training costs for one year. At the end of the financial year (June 30), the horses are sold at the sales and the selling price and race earnings are distributed proportionally among shareholders. Each share gains its owner free racecourse entry on the day their horse runs. Open days at each trainer’s yard. The club is currently full, but a similar club will open in 2015. Motivated by a love of racing and sharing the passion, the promotion of horses and becoming an owner, this model offers an easy and friendly alternative to those hesitant to go it alone. 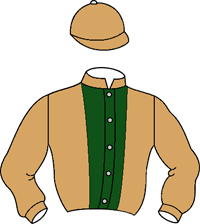 Shares are available in one or more horses which carry the club’s silks. Once bought, the shares will be blocked for 6 years. 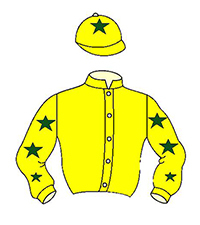 The first horse bought was Prince d’Aliénor in July 2010 (5 wins). 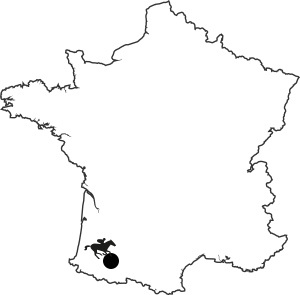 Members of the club are based principally in Paris and the South-West. Some are already owners and want to share their passion with others new to the game. They contribute to educational mails from the Manager. The share price covers costs for 24 months. The club has a selection of horses ready to run. It’s an all-inclusive package and the price per share covers all stabling expenses for 2 years. The total of racing earnings is distributed to shareholders, as well as the net proceeds from the horse sale. In its very first year, members had the pleasure of having a runner in the Prix de Diane, Bocaiuva. 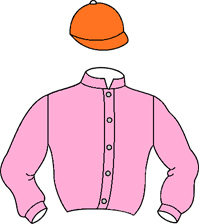 The latter won its Listed and took several placings in Group races. The second year saw the successful two-year-old Money Maker in the major Prix Yacowlef, giving the club its second Listed race success in only two years. The 2016 season begins under the best auspices with the excellent starts of Elounda Love, which came in second in a maiden race in Chantilly, and the convincing return of Money Maker which will from now on follow the group race circuit for 3-year-old sprinters. Once bought, the shares will be blocked for six years. The club was established in 2012 by the Traditia Office of Heritage at Bordeaux. The club’s hopefuls are: Tradigraphie (sister to Mutin – 4 wins and earnings of 120 000 €), Super Freak (brother to Shadow Skills – 3 wins and earning of 100 000 €), Estevan (brother to ER, Group and Listed placed). The Ecurie Bleu Outre-Mer is the first horse syndicate dedicated to ultramarines. It brings together around fifteen shareholders from overseas or with affinities with the Caribbean, Guyana, Reunion, Martinique or Guadeloupe. Main objectives: to be performing in the quinté plus, the preferred bet of ultramarines, and to propose to its shareholders a unifying project with a strong identity and sporting and cultural value. Listed at Cagnes-sur-Mer on February the 18th, 2017. Third places in the quintés in 2015. The syndicate will be buying horses that have shown form and have scope to improve. We will not buy yearlings or unraced two-year-olds, but rather concentrate on horses who can offer syndicate members plenty of action from the start. High Street horses will be bought by Gina Rarick and her advisors either from claiming races, the Tattersalls Horses-in-Training sales in Newmarket or privately. There will be no further fees involved. Purse money will be reinvested if necessary during the two-year life of the syndicate, but when the syndicate ends, all remaining prize money will be divided among shareholders. Established in 1983, the Ecurie A.B.U. is aimed at having competitive horses in flat racing. 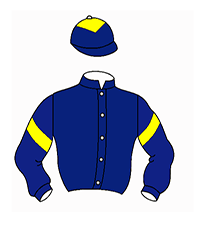 It won 37 premium races , and also PMH races, of which three listed races, four handicaps quinté, and took many places including in listed races and group races. Having purchase horses as yearlings or in claimer races in the first phase of its activity, the Ecurie A.B.U. chose to raise to run since 2004. Galantes Ivresses (4 year by Nombre Premier and Loyal Lass) already won four races and this year she will run listed or high-level handicap races (and perhaps groups) on short distances. The racing club has a yearling filly from Authorized and a foal from Le Havre. The Passion Racing Club team brings together racing enthusiasts, as part of a friendly club. The objective of the racing club is to allow the shareholders to regularly attend races and live their passion in the most serenity, without new money. With more than 220 starters and € 1,040,000 bonuses in 2016, the Passion Racing Club has perfectly fulfilled its objectives. Beyond Henry (5 years old by Henrythenavigator and Beyond the Waves) was placed in several Group I races in 2016 and will target new groups in 2017. Type of purchases Principalement à réclamer, et dans une moindre mesure à l'amiable. L'élevage est en cours de développement.